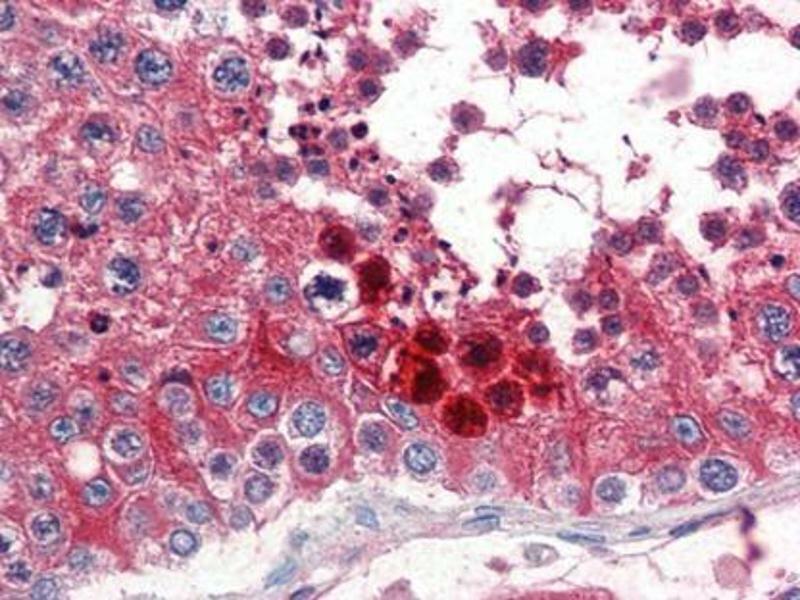 Human Testis (formalin-fixed, paraffin-embedded) stained with CLUat 2.5 µg/ml followed by biotinylated anti-goat IgG secondary antibody, alkaline phosphatase-streptavidin and chromogen. 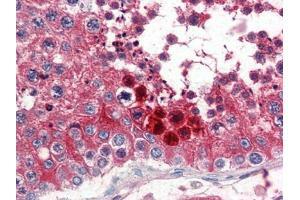 Antibody (0.3 µg/ml) staining of human colon lysate (35 µg protein in RIPA buffer). Primary incubation was 1 hour. Detected by chemiluminescence. 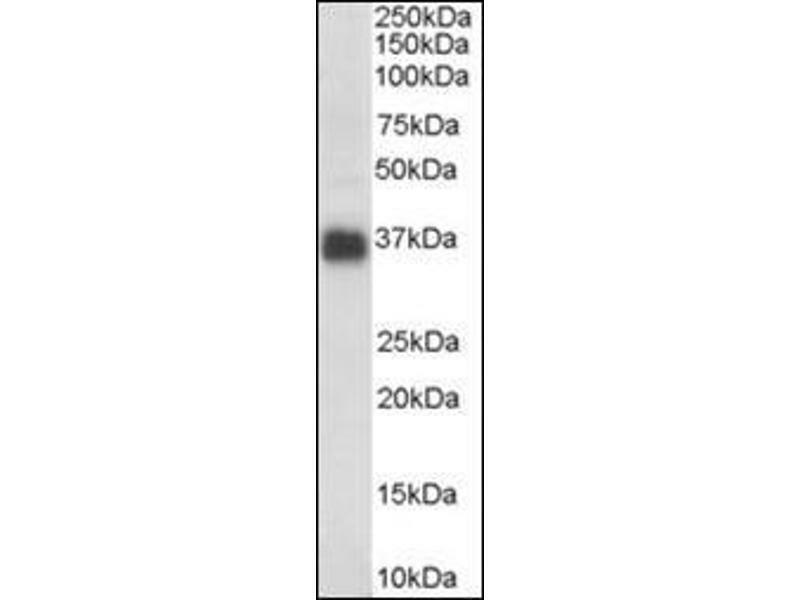 Specificity This antibody detects Apolipoprotein J (Apo J) at C-term. Storage Comment Store at 2 - 8 °C for up to one month or (in aliquots) at -20 °C for longer.